I balled a tiny piece of tin foil up and shoved it in there. It’s working for now but once I’m feeling looser with money I’ll buy this replacement piece from Ebay which I can install myself easily. You know it’s an authentic chinese reverse engineer when it looks like it was photographed on the set of a horror movie. I just hope the part works better than the vendor’s camera. 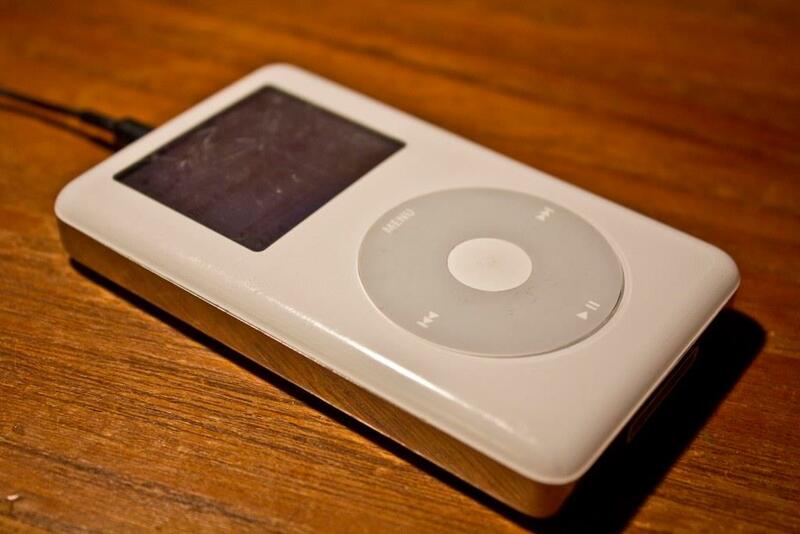 The iPod was my graduation present in 2005 and has been fixed many times already. It’s lasted so long because everything in these 2004-era pods is replaceable. The battery, hard drive, and headphone jack all plug into the board with a click.